Made in America Holiday: General Pencil Co. Writing and drawing utensils from General Pencil Company, Inc., have been helping to bring imaginations to paper for more than 125 years. Interested in Made in America? Add Made in America as an interest to stay up to date on the latest Made in America news, video, and analysis from ABC News. The U.S. company has been owned and operated by the Weissenborn family since 1889. Katie Weissenborn, the company's president and a fifth-generation Weissenborn, said President Abraham Lincoln's cabinet had even sent letters to General Pencil, remarking on its products' quality. The company's charcoal pencils were also used for presidential portraits, she said. "Basically, when you're holding a General Pencil drawing pencil, you're holding a piece of history," Weissenborn said. When you're holding a General Pencil drawing pencil, you're holding a piece of history. General Pencil calls Jersey City, New Jersey, its home and still operates out of a 100-year-old factory. Weissenborn said the company's pencil-making process has been around for more than 150 years. The product has not changed. "[It's] pretty exciting, simple yet exciting," she said. General Pencil currently employs 49 workers, some of whom have worked there for generations, and ships all over the world. It also owns 28 different patents for the pencil-making process. The paints are mixed in the Jersey City factory. Weissenborn said even the charcoal is a secret family formula. Weissenborn said the company's pencils use sustained yield cedar wood from California, which has been harvested responsibly for more than a century. And, they also feature a semi-hexagonal shape to ensure they won't roll off the table. 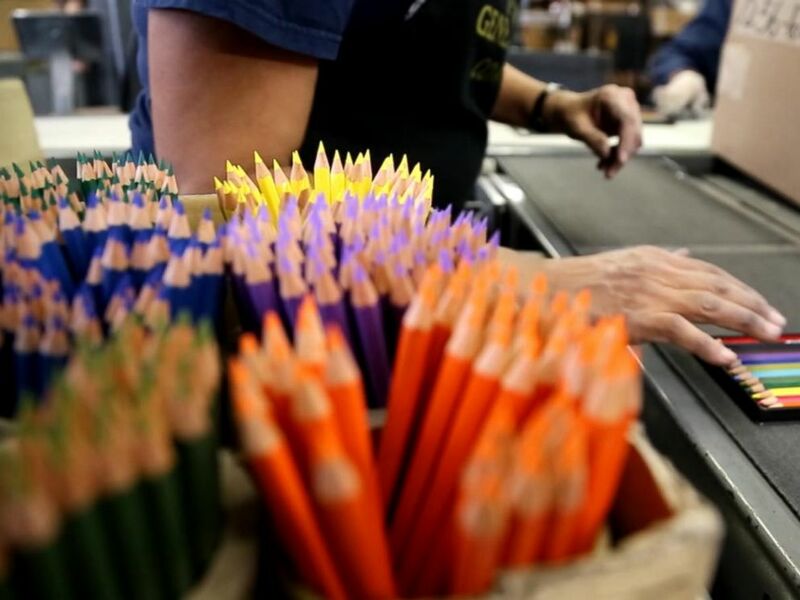 While the holidays are really good for General Pencil, Weissenborn said the back-to-school season was big for the company, with everyone from parents and teachers to students and artists looking for pencils, and arts and crafts materials. "We have one advantage being made in the USA -- besides the fact that we think we make a better product and it's good quality -- but one of the advantages is we're local in the USA so if a retail store in America needs something right away, we can turn on a dime [and] assemble product, manufacture product, and get it out the doors to stores quickly," she said. "We're a local, sustainable business right here in the USA." Jersey City's General Pencil Company has been family owned and operated since 1889.